A movie that is part of a horror action film franchise made by a guy who is most known for writing and directing witty dark comedies could be described as a lot of things, but boring should not be one of those things. After he is left as the lone survivor of a predator attack, soldier Quinn McKenna (Boyd Holbrook) is captured and institutionalized to cover up the incident. When the predator reappears, McKenna and a group of other institutionalized soldiers breaks free with the help of a government recruited biologist (Olivia Munn) to stop the creature. As stated earlier the “Predator” franchise is action horror, and writer director Shane Black predominately does comedic work. “The Predator” manages to pull all three of these genres and the tones they carry together well, but it is all bad interpretations of said genres that get mixed. The horror aspect of the movie is ruined early on, the action is unexciting and poorly executed and the comedy is annoying. The horror of the movie is ruined within the opening scene of the movie. The predator creature is shown immediately, without a mask and everything. Granted, the predator creature is a pop culture staple at this point, so most people probably know what it looks like, so that may not do the trick for some, but the horror is ruined in other ways as well. The violence is overdone to a point where the audience is desensitized to the dooms that can befall the characters, and the creature is hurt based on plot convenience alone. In terms of the action, there are two types of action scenes in the movie. The first one is characters just standing around shooting until the plot decides that their bullets can have an effect. The other kind is a confusing cluster of shots and things happening to the point that a character’s head gets blown off and the way the film is shot and edited, you are not sure exactly who got killed until you see which characters are left in the proceeding scenes. Then there is the comedy, which mainly comes from the banter between the group of soldiers that McKenna meets and help him, and it is just painful to watch. They are annoying and loud, and renders them completely unlikable. McKenna’s squad are unlikable in the sense that they are all annoying, but the rest of the characters are unlikable due to their paper thin, action movie cliché personas. For example, McKenna is the generic and bland action hero whose only characteristic is that his family is in danger and he is worried, and Munn’s character is a scientist who inexplicably turns into an action star. With the paper thin status of each character, it should come as no surprise that the entire cast is awful. This is especially disappointing because a lot of these people, like Sterling K. Brown and Jacob Tremblay, are strong actors in their other work, but considering the bad characters and horrendous script, one cannot really blame them for doing a bad job. 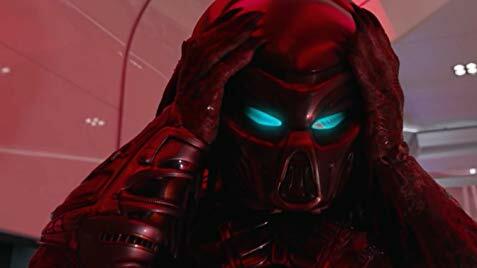 Considering that Shane Black was one of the film’s writers, the poor script is another bad surprise that “The Predator” gives the audience. The character moments are all flat, the pacing is bad and the scene where McKenna is introduced the rest of the soldiers is just one of them telling McKenna who they are through dialogue that sounds like it was just casting descriptions that the actors were given when they auditioned for roles. The worst thing about the movie, however, which all of these aforementioned problems feed into, is that it is just plain boring. There are no characters for the audience to be invested in, any scenes between these characters are badly done, the predator is ruined and the action is lame. ‘The Predator’ is filled with a lot of surprises, and all of them are bad.